Imperial joined 30,000 people from 472 different organisations in what festival organisers have called the ‘most diverse’ parade ever. 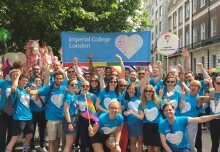 Imperial 600, the College’s LGBTQ+ network for staff and postgraduate students, co-ordinated the College’s entry into the parade. 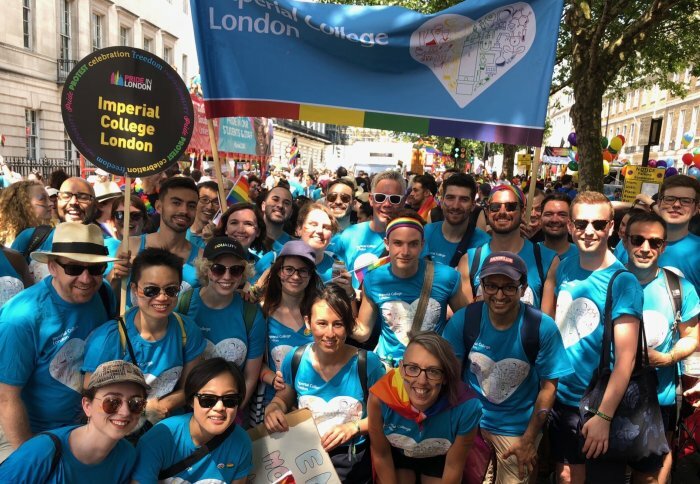 The Imperial cohort, made up of 29 people, marched alongside counterpart networks from King’s College London and University College London. “It always surprises me when thousands of people cheer us on at the Pride in London parade. We could see how much our involvement meant to Imperial students, staff and alumni who were watching as we heard screams of delight when we passed by – some even jumped into the parade to take pictures with our banner. This year's theme, Pride Matters, recognised that ‘Pride’ means different things to different people, whether it be protest, a symbol of freedom or a platform for diversity. 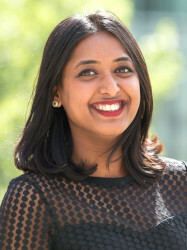 “I am delighted to have joined friends and colleagues at the Pride in London parade, a festival that celebrates love in all its different forms, gives a voice to those who have been silenced and champions the rights of the LGBTQ+ community. Do you want to join Imperial 600? Imperial 600 is an active staff network that supports LGBTQ+ staff and postgraduate students and welcomes straight allies. Do you want to become a member? Find out more and sign up today.